Mạnh reportedly admitted that he had posted two photos of tapeworm-infected pork on his Facebook page, saying that parents in Ngũ Thái Commune needed to speak up against the use of contaminated pork in meals for children. He admitted the post was untrue. Local police requested Mạnh delete the status and post another to apologise for the inaccurate information, which caused panic and triggered local disorder. On the same day, two Facebook users in southernmost Cà Mau Province were given warnings from local authorities for posting inaccurate information about African swine fever among pigs in the province. 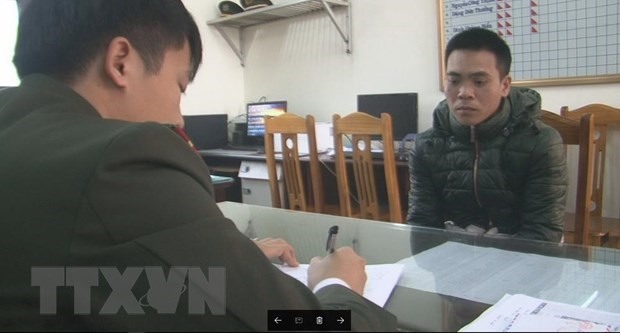 Nguyễn Bảo Trân, 26, in Cà Mau City, and Phạm Hoàng Yên, 22, in Trần Văn Thời District, admitted to the provincial’s Department of Information and Communications inspectorate that they had posted statuses about a new outbreak of African swine fever among pigs in Cà Mau Province. The status was shared over 2,200 within two hours. On March 18, Facebook user Đoàn Phương Loan, 30, in southern Bạc Liêu Province’s Hòa Bình District was also given a warning for spreading false information about an African swine outbreak in the province.